Looking to find the best voice recording app since the stock program your smart device comes with just doesn’t cut it? We were in the same boat until we wrote this guide. There have been quite a few instances which we’ve gone to record some voice memos, band practices, speeches as well as lectures and have started to fumble and really question how effective the “standard voice memo” app is. There have even been times when we’ve thought we were recording for nearly an hour to only find out it had stopped half way through! We had enough and felt the need to research what else was out there. Whether you’re on iOS or Android, we found the 10 best apps for voice recording, both paid and free. Let’s get into the details. Searching for the best video production and editing apps can be tough considering there are countless solutions out there in the app market, for both iOS and Google Play for Android. Whether you’re looking to make a quick compilation of video clips you have handy, add some effects to an existing movie, or take it a step further and get into near-professional movie making on your smart device, we’ve got you covered in today’s guide. Just as saw in our photo editing and music making apps article, there are some hidden gems out there we’ve been able to find through our own uses and research, both paid and free. Let’s get into our top picks for the best apps for video editing and production. As technology continues to grow, music making becomes a lot more broad in terms of how we can actually create it. As opposed to needing a four track recorder, microphone and a few instruments back in the day, now we can simply download some software onto our computers, phones or tablets and get going immediately with merely our fingertips. We’re huge fans of creation, and the more popular applications become for production the more we want to know which are the best. It was tough compiling this today because there are so many out there, but we managed to fine tune ten of them. 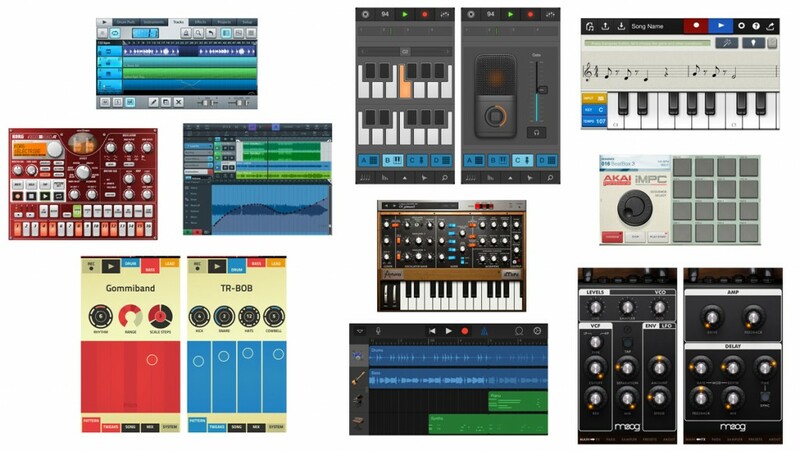 Here are the 10 best music production apps we were able to find in the market today.